Our outdoor jumping arena is tucked away into the hills of Livermore, surrounded by golden fields that keep your mind focused while you train. Our wide variety of jumps and constant ability to change our courses allows our riders to experience everything that might be thrown at them in the show ring. Our riders and horses enjoy top of the line amenities. 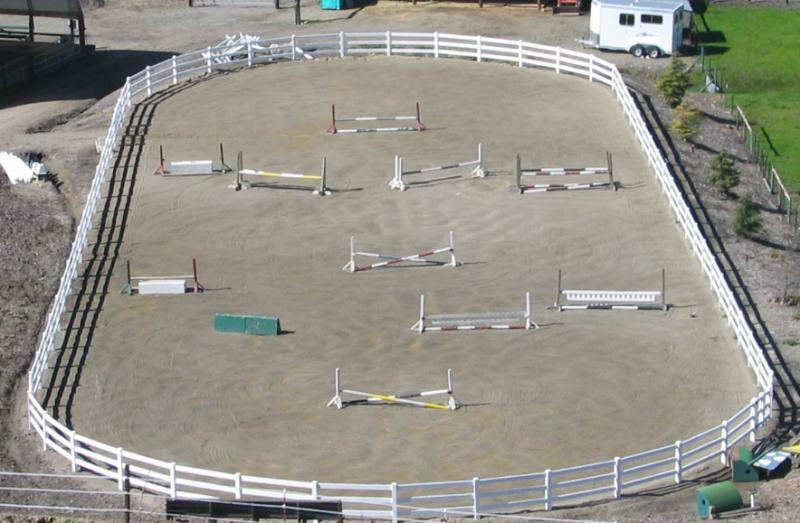 Whether you ride for fun or show on the rated circuit, you can utilize one of our spectacular facilities. Unlike the usual show barn, we boast a peaceful and drama free setting that seems too good to be true. Our riders enjoy an escape from their usual busy life while enjoying lifelong friendships. Our horses receive the highest quality forage and bedding and we promise to cater to all your special needs.